Taking the Long Way Home: Race thoughts and Race Recaps link up! Race thoughts and Race Recaps link up! Welcome to the 12th Race Recap Link-Up!! I love reading recaps from other bloggers. Its a great way to learn about different races, support other runners, and gain motivation. A recap is the final leg of the race. It’s your chance to relive your race and allow others some insight. The training miles, the race day jitters, the glory of crossing the finish line. the good - the bad - the ugly We want to hear it all…. We'd love it if you'd follow us on all social media & let us know you've shared a post. 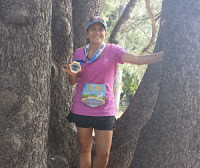 Check out Diane's Santa Rosa Half Marathon recap at RunningRocker. Lots of great pictures!! Since this is a race themed link up but I don't have any recent races to talk about, I thought I'd share my thoughts about this year's upcoming Chicago marathon. If you've been reading my blog for any length of time, you know that I've set a goal for myself for this year's marathon. As I call it, "the mother of all goals", I'm shooting for that sub-4 marathon. Putting it out there has put a lot of pressure on me. When I ran last year's Chicago marathon, I had no goal. Ok, I did have a goal, but after all, I had nothing but that terrible first Chicago marathon to compare with. For both marathons, I set a goal finish time of 4:30. As I progressed through my training last year, I knew that I'd probably surpass that goal time and I did, finishing in 4:17. I don't think 4:00 is unreasonable at all for me. During last year's race, I had a few glitches, which stole quite a bit of time from me. For example, my phone flashlight turned on at mile 8 and it took me 5 minutes to troubleshoot it. I could have let it go, but I didn't want the battery to run down. I wanted pictures! Lesson 1: put the phone on airplane mode. Once I got the flashlight turned off, I headed back onto the course. At about mile 11, my phone started to ring. What the hell? Who would be calling me? I ignored it and kept going. It rang again. And again. So finally, thinking the worst, I answered it. It was my medical assistant, calling to see where I was and wanting to make sure I didn't miss her at mile 13. Seriously. Who calls someone when they're running a marathon? A non-runner, right? Lesson 2: put the phone on airplane mode. I saw my medical assistant at mile 13, and I couldn't be mad. I ran over for a hug. I also saw some of my neighbors at mile 15 and hugged them too. I don't think I lost a ton of time doing that, and in fact, I felt like I got a power boost from those hugs! There were a few potty stops as well, even in spite of my excellent fueling choice of Tailwind. What can I say? Nothing's perfect. I may not be able to avoid that. The rest of the race was uneventful and there were no more stops. Running through Pilsen, where I had my meltdown at marathon #1, was empowering to me! The previous race, I was doing the walk of shame through this vibrant neighborhood, cursing my life. This time, instead of calling my husband, crying, to pick me up, I started to pick up speed. The fact that I felt so good at this point in the race gave me wings. I need to remember that when I run #3. Running up Michigan Avenue for miles 23-25 was also empowering. I walked those 3 miles when I ran the race 3 years before, and it seemed like I'd never reach Roosevelt Road and mile 26. This time? While my hamstrings were starting to protest, I ignored them and kept running. My music really helped me, and I had Rage At the Machine, Eminem, and Noel Gallagher to bring me to the finish line. I trained with this music and having those familiar tunes propelled me to a strong finish with a huge smile on my face. As painful as that first marathon was, I am so grateful to have had that experience to draw on. Don't get me wrong, knowing how badly I felt that first time weighed heavily on my mind. Becky and I did a ton of mental training along with my physical training. She recently told me that she picks extra tough workouts for me, not so much for the physical training (although that is a factor) but for the mental aspect. This past strength cycle was all about overcoming fear and pain. I'm stronger for it, both physically and mentally. But I still have a way to go. 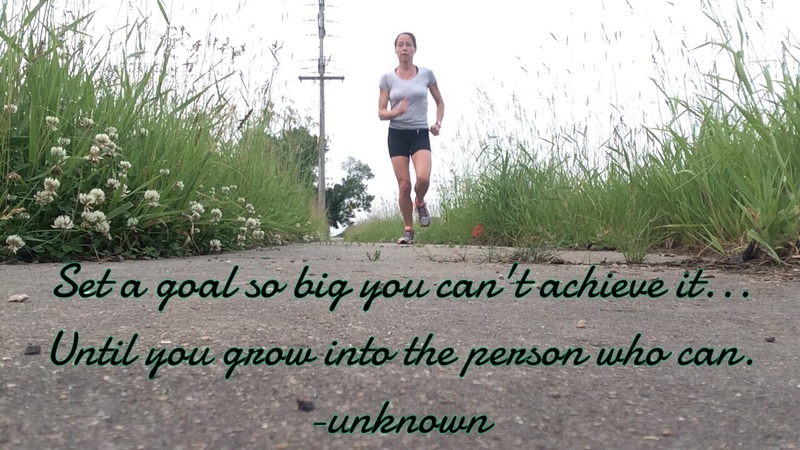 Having this lofty goal and putting it out there has made me a little bit more anxious than I was as I prepared for my marathon last year. You'll probably be reading a lot about my training and my mindset. This blog has really provided me with a place to express myself and put it all out there. The feedback I get from all the people who read my posts really empowers me. I never ever thought that people would find inspiration in what I write, but I hear that all the time and it really makes me feel good. I hope that by sharing my fears and anxieties, as well as my achievements, will be helpful for my readers and for me. Thanks for going on this journey with me...again! 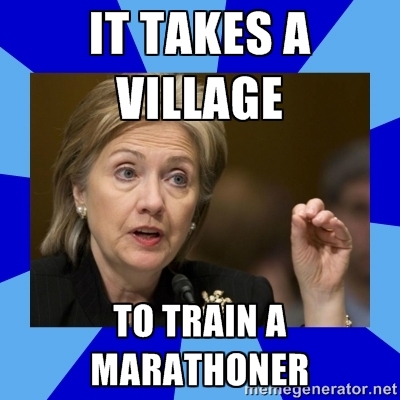 You know my motto: it takes a village to train a marathoner. And yes, this time, I'll put my phone on airplane mode! Any race glitches you care to share? Were you able to shake it off? Any strategies to help alleviate race day jitters? It is active every Tuesday - Friday. Link up your most recent recaps, or throwback to an old favorite. *If your post is unrelated to the theme, it will be deleted. One recap will be featured on the next link up! Read at least 3 other posts and leave them some love. The more the merrier… share on your social media so others can link-up. #TuesdayTales Grab the code to the link-up image below on your post or somewhere on your blog. Thank you for linking up this week - be sure to come back next week. Best of luck at earning a sub 4. I have learned that anything can happen on race day regardless how you've trained. All during my marathon training I was happy with my projected time. Come race day I ended up coming in an hour later because of an injury. I'm sure you will do great though! You just never know, right? I need to focus! I'm thinking you might want to put your phone on airplane mode next time. Just a suggestion. :) And next time, I will be there cheering runners on. I can only imagine this as a positive for you. The extra bonus you need to get your goal. Right!!?? Happy to be co-hosting with you again!! I think that's a huge win for me! Are you really going to be there? We HAVE to meet. Well, thank you! I figure that putting it out there will keep me accountable! I'm really going to be there! My husband is running it! Flight and hotel are already booked! I'm going to check out all the linkups later today when I get home from work. Thanks for linking! I cant believe someone called you during a marathon, and they actually knew you were running the marathon! I remember during a race my sister started texting my husband and I. I didn't noticed because my phone was in my belt, but he was listening to music and kept hearing the message notification! I know. I was a little annoyed. I feel like you've got this! With a good training plan and focus you can get that goal! my husband called me on time during a 10k - right as I was a half mile from the finish line... he just kept calling... I picked up & screamed WHAT?!?!?!?! ... He was like, "What's up?" .. .like he totally forgot I was doing this race. Mercy. Oh my gosh the shenanigans with the phone...what would have been a great photo was messed up because I was looking down at my phonet trying to get the music to play at the Cherry Blossom Run! I'm so excited for you and your marathon...I know you're going to get sub-4! I have to get the phone thing ironed out! Great recap! So exciting you were able to find energy in that spot where you didn't enjoy it during the last race. This year will be great because I know the course so well. Its funny how these little technical things (like phone in airplane mode) can help a lot-- reduce your stress and allow you to focus more on your running. Part of me didn't want to put my goal out there, but what the heck? If I don't do it, there will be lessons learned, and hey, it's still a marathon, right? I've never thought to put my phone in airplane mode before during a race, but I can see why it would be helpful. 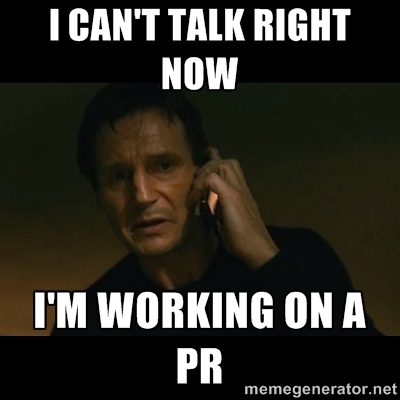 You definitely don't want any distractions when you're going for that PR! There's nothing worse than the phone ringing or music quitting during a race! I think this is your year!! I can't wait to follow your training and offer encouragement and cheers too! I hope so! Thanks for all the support! 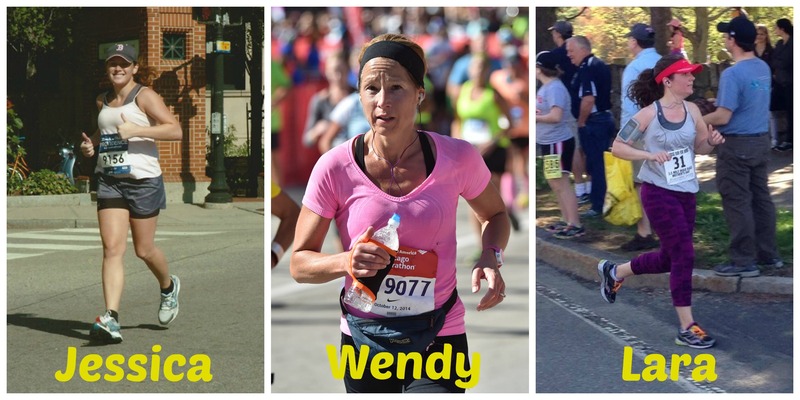 You're going to do so great, Wendy; I can't WAIT for you to cross that finish line this year - woo hoo!!! Thank you Tara! That means a lot! Airplane mode is the best. I've started to use it outside of running just to disconnect. Good luck with your marathon goals! I truly believe that you can do it! I have horrible race day jitters that really hinder my performance. I'm working hard on getting them under control before my next race. I'm lucky in that this is my third time running Chicago. I know the course, and I know what to expect. Huge mental benefit! Good luck at Chicago. I have rn one marathon and my stomach gave me issues for no reason other than nerves, I am hoping my second will be better. I hope so too! My second one was SO much better. Soooooo, here is a thought..... Don't take your phone. Oh gawd, I think I just heard a collective audience *GASP*! My next race isn't for another few weeks but I will make sure to link up! What are you running? Or is it a tri? Haha, I'm actually guilty of calling and texting someone while running a marathon :) It's an acquired skill. It's the only way I could coordinate with my family where they would be! I read this yesterday then got interrupted before I commented. My last half it was stinking hot, I had to cave and walk break, but I didn't freak out and I finished okay and still made my C goal. The year before I had fallen apart in similar instance and I felt good I could adjust as needed. My girlfriend was texting during her last half...crazy lol I honestly would ignore it. It's awful how seconds or a minute blurp can start making you feel like your goal is slipping away, keep calm and power on! I was happy that none of that threw me off. I felt good, and I think that had a lot to do with it. If things hadn't been going so well, I may have felt differently! Oh, my goodness! I can't believe you got a phone call during your marathon!!! I would have had to answer the phone, too. Well, after the 3rd time, I was worried something happened at home!